Reminder – session 2 of our Worship & Liturgy seminar hosted by Bangsar Lutheran Church will proceed tomorrow 24 October 2015, from 9am – 1pm at The Father’s House, Bangsar Lutheran Church. An RM25 fee will be levied to offset costs for materials and lunch. Practical Helps on being Worship Lead / Liturgist. This seminar / workshop will be good for all those in the worship ministry as well as others who may be interested. This is an open event – so, even if you’re from another church you are welcome to join us! For Bangsar Lutheran Church worship leads and other worship enablers, attendance is compulsory. Please email Rev. Augustin at revaugustin[at]yahoo[dot]com for enquiries or for more details. Reminder – the FREE Worship & Liturgy seminar hosted by Bangsar Lutheran Church will start tomorrow 10 October 2015, from 9am – 1pm at The Father’s House, Bangsar Lutheran Church. The next session will be held on 24 October 2015, 9am – 1pm. Bangsar Lutheran Church will be hosting a FREE Worship & Liturgy seminar over two days: 10 & 24 October 2015, from 9am – 1pm each session. The sessions will be held at The Father’s House, Bangsar Lutheran Church. For some years, a group under the leadership of Rev. Augustin has been reviewing the order of service and compiling worship resources for the Lutheran Church of Malaysia (“LCM”). With that, LCM is pleased to announced that the “Book of Service Orders” is now available, in English and Chinese. Pastors, pastoral workers, worship leaders and all members are to use the resources and options in this book for their worship. 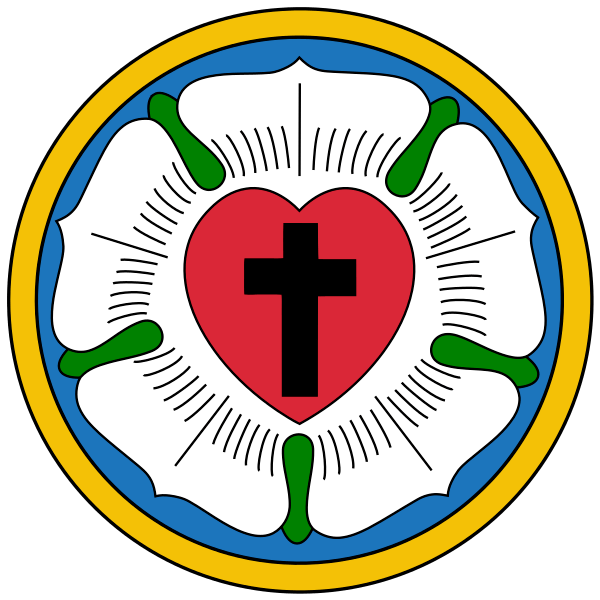 With the publication of the Book of Service Orders, LCM is inviting all pastors and lay-leaders involved in worship to a FREE half-day seminar that introduces the basics of worship, explains the Lutheran order of service, and presents the manifold resources in the Book of Service Orders. Parking at VSQ building just before Luther Centre. RM2 flat parking fee with stamp by LCM. The seminar is free; LCM covers the costs for refreshments and material. Please register yourself latest by 1 May so that we can prepare the required amount of material and refreshments. The Lutheran Bible Training Institute (LBTI) is presenting a two-day class called “Exploring a Theology & Practise of Worship for Our Times“. Day by day, Christians gather together for public worship as they have done since the apostles met to pray, read the scriptures and break bread. The study of Christian Worship and Liturgy within theology seeks to learn how Christians have worshipped in the past, and to understand better the evolving worship patterns in today’s churches. The primary concern of this course is what happens in worshipping communities and our studies necessarily look for application to the contemporary church. This course will not tell you how the Eucharist should be celebrated or what the correct form of worship is, rather it will help you to understand how and why people worship today. The course will also encourage students to think and reflect theologically on worship and thereby begin to construct a theology and practice of worship that is relevant to the contemporary age, and yet is faithful to biblical and theological concerns. How can we make worship relevant to the people of today? This course is a two-part module carried out over two Saturdays for about 6 hours each time. The teaching is delivered both through lecture as well as discussion. Notes will be provided. Participants will have time to engage with the material and crystallize their thoughts through group discussion. So what is Biblical Worship? Church Leaders, Council members, Worship leaders, Liturgists, Worship Team members and anyone else with a passion for worship. The module will be carried out at Bangsar Lutheran Church, 23 Jalan Abdullah, 59000 Kuala Lumpur (map and directions here) on Saturday, 2 March (Part 1) and 13 April (Part 2). The sessions will begin at 10 am, and should be over by 4 pm. Lunch & refreshments will be provided. The cost for the module will be RM 90 per person, payable on the first day. However, in order to prepare for food, notes, etc., you are asked to sign up earlier. You may do so with your pastor or the contact below before 25 February 2013. For further details, please contact: Rev. Augustin Muthusami – revaugustin[at]yahoo[dot]com. One of the not-so-much-focused-on stories on Maundy Thursday is the part where Jesus goes off with His disciples to pray at the Garden. It must have been a terrible time for him, and he would have been very much distressed and emotionally disturbed. I suppose it was only natural that he wanted his closest friends with him – maybe support him or at least be with him as he struggled with the Father’s will. Yet, every time he returned he found them sleeping. In all possibility, they were probably dead tired, walking around here and there, and then there was that strange meal where Jesus behaved rather differently, washing their feet, and then talking about giving them His body and blood. For whatever reasons, they were probably exhausted. So they slept. Maybe Jesus was disappointed. Maybe he was not. But I have been thinking about this small incident between the big events of the meal and the bigger event of the cross. Spaces. God created a space for Jesus to suffer and die. We know it was done for us – you and me. But I wonder sometimes whether we create the space to be with Him spiritually, emotionally, physically. The cross was an event 2000 years ago, yet it has ongoing blessings for you and me. Holy Week is an opportunity to create that space to be with Jesus, walking with him on that last week of his last life. The Stations of the Cross were an opportunity to carve that space out of the busyness of our day to day life and ponder a bit more about Jesus on the cross. The Tridium, the great three days, Maundy Thursday, Good Friday, and Easter, are opportunities for us to create that space of fellowship with Christ and experiencing Him anew in our lives. As our worship leader remarked, when we want to come close to Christ, everything seems to conspire against us. I believe it is also about choices. We can choose either to go about our daily lives as usual or we can choose to create space. There is really no such thing as “I must…” – it is always a matter of choices. And our choices reflect our priorities. We can choose to create space to be with Jesus because it is important to us, or we can give space to other things because those things are more important to us. Today is Good Friday. In my home church, when I was growing up, we had Good Friday service from 12 noon to 3 pm, reflecting the hours on the cross. People used to make space by taking leave or time off from work. As our lives get more and more crowded, services began to be pushed to the evenings. Even then, we can think about the effort to come to church, fight traffic, look into the hundred and one things we really need to do, spend time with friend, watch TV or even just sleep. I wonder if we could, just this once, create that space to be with Jesus on this most important night of the year, and come to Church for Good Friday service. I wonder if the cross is that important to us. I wonder if we can create that space.